Enjoying Toledo, Ohio doesn't have to be expensive. The Glass Capital of the United States offers a wealth of parks, museums, historic neighborhoods, and other attractions that are free to the public. Toledo is situated on the western tip of Lake Erie. Here you'll find the Toledo Museum of Art which includes the Glass Pavilion, illustrating the city’s legacy of glass production with thousands of glass works of art. Kids will have fun at the zoo and the children's science center. The Toledo Museum of Art, founded in 1901, houses a diverse collection of art with special emphasis on 19th and 20th century European and American paintings. 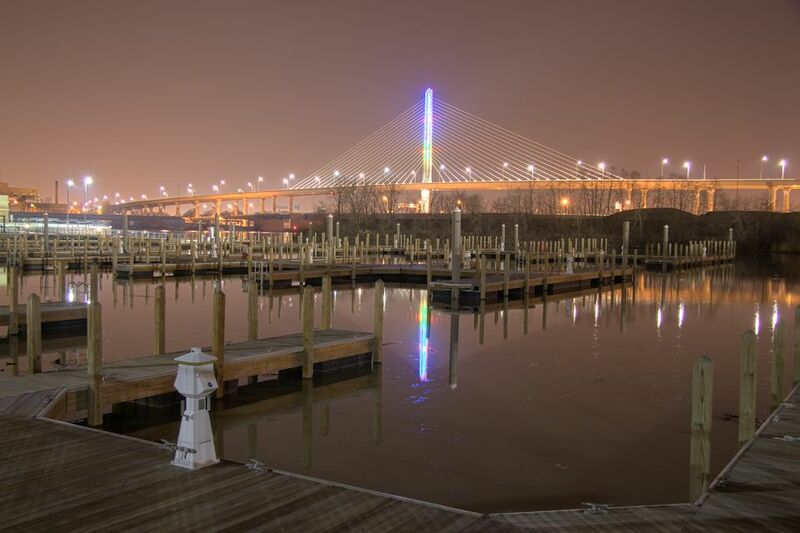 Long known as “The Glass Capital of the World,” Toledo has a long history of leadership in many aspects of the glass industry. So it makes sense that the art museum features a collection of thousands of pieces of glass works. The museum's special Glass Pavilion features this collection of glass objects, ranging from ancient times to the present. The art museum, located in Toledo's Old West End neighborhood, is free to the public. The Toledo Zoo, with more than 5,300 animals representing more than 760 species, is consistently considered one of the top zoological institutions in the country. Located just south of downtown along the Anthony Wayne Trail, the zoo features an African Savanna, the Kingdom of the Apes and Primate Forest, the Arctic Encounter, and Africa!, among other exhibits. The zoo offers free admission to Lucas County residents every non-holiday Monday from 10 a.m. to noon. Bring a valid ID. This historic neighborhood, located west of downtown Toledo features 25 city blocks of late 19th century structures. The area includes many architectural styles such as Victorian, Edwardian, Arts and Crafts, Queen Anne, Georgian, French Second Empire, Colonial, Dutch Colonial, and Italian Renaissance. It's also home to the Toledo Museum of Art and several bed-and-breakfast inns. The area is a great place for an afternoon stroll. The R. A. Stranahan Arboretum, located on Toledo's west side off of Sylvania Avenue, is a 47-acre nature preserve administered by the University of Toledo. The park features an array of cultivated ornamental trees, rolling lawns, natural woods, ponds, wetlands, and prairie. The Libbey Glass Outlet store, in Toledo, Ohio, is not only a great destination for shoppers on the lookout for a deal, but for anyone interested in the city's glass history and having a fun downtown experience. Libbey makes drinking glasses, of course, but also tableware, baking dishes, and home decor items. You might be surprised at the contemporary look of their products on display. Of course, they aren't (quite) giving their merchandise away, but window shopping is free. The Toledo Metropark system features 12 individual parks that range from cozy Side Cut Park along the former Miami and Erie Canal to sprawling Wildwood Preserve on the north side of Toledo. All are free and facilities include ball fields, playgrounds, tennis courts, fishing spots, and historic sites. Most parks are open from dawn until dusk. Toledo's Imagination Station is open for play daily except is closed on Mondays. The Imagination Station makes science, technology, engineering and mathematics fun and accessible. Kids love it. There are hundreds of hands-on exhibits that will be fun for all family members. There is free Saturday admission for Lucas County kids, 12 and under, with a paid adult admission. The facility is located at 1 Discovery Way, on the corner of Summit and Adams Streets. The Toledo Firefighters Museum houses firefighting uniforms and equipment, historic fire engines and tells the stories of Toledo's firefighters. The museum is open most Saturday afternoons and is free of charge. The displays are housed in old Firehouse No. 18 at 918 West Sylvania Avenue. The Wildwood Manor House is a Toledo icon which graces the estate grounds now known as Wildwood Preserve Metropark. The home was built by one of the founders of Champion Spark Plug Company, R.A. Stranahan. You can take a free tour of this impressive Georgian Colonial mansion. Monthly Teas (fee charged) are hosted by the Manor House Volunteers. This imposing home is huge, with more than 30,000 square feet, is rented out for weddings and events. Volunteers decorate the Manor House for Christmas and you can visit the decorated home beginning the first Saturday in December. The home and park are located at 5100 West Central Avenue. Maumee Bay State Park offers 1,336 acres of not only recreational facilities but also a unique natural environment created by the convergence of the land and Lake Erie. There are scenic meadows, woods and lush marshes with wildlife, birds and, in the water, fish. Ohio is one of the few states that does not charge for admission or parking for their state parks. Day use facilities such as trails, beaches, picnic areas, boating and fishing facilities are absolutely free. At Maumee Bay State Park, seasonally you can find a free fishing day scheduled (a state-wide event). You can go birding, take a nature walk, and even use the archery range for free. While there are camping and conference facilities that do charge a use fee, a day at this state park will cost you absolutely nothing.